Harka Bahadur Chhetri today alleged that GTA chief executive Bimal Gurung's decision to provide an annual increment of 15 per cent to the 5,000-odd casual employees of the hill body and initiate steps to regularise their jobs lacked sincerity and was nothing but an attempt to pacify an angry work force. 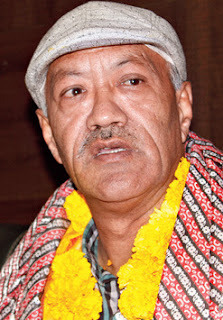 The Kalimpong MLA asked what had prevented the Gorkha Janmukti Morcha from regularising the jobs of the GTA staff in the three-and-half years it had been at the GTA helm. "If it had the intent and was sincere, it should have been able to do the job by now. In any case, what does the GTA want to do: give the staff a hike or regularise their jobs? If the jobs can be regularised, where is the need for a hike? The Morcha is thoroughly confused," he said. The 5,321 casual employees of the GTA get between Rs 5,000 and Rs 21,000 a month. Yesterday, Gurung in a meeting with the Morcha-affiliate Janmukti Asthai Karmachari Sangathan (JAKS) in Darjeeling had announced a 15 per cent hike in the salaries of the GTA casual staff and also promised to take some positive steps with regards to their demand for job regularisation. Chhetri said there was no evidence of the Morcha pursuing the matter with any degree of sincerity and this was a desperate attempt to keep its flock together. "Where is the evidence of the Morcha pursuing the case of the casual staff with the state government? If it has, let it be made public. This (yesterday's announcement) is nothing but attempts to pacify people who are angry. The casual workers are angry and so are the voluntary teachers. It is a decision taken without much thought by someone who doesn't know what to do," said Chhetri.